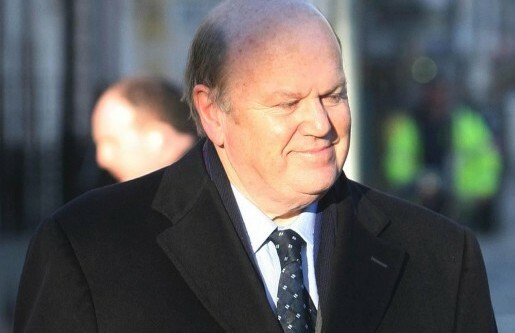 Finance Minister Michael Noonan has said the new development of banks offering mortgages targeted at landlords could help alleviate problems in the rental market. Earlier this week state-owned Permanent TSB launched new loans for buy-to-let investors. It comes as rents have been rising in Dublin and there have been concerns about a shortage of residential properties for tenants. Mr Noonan made his comments ahead of the Eurogroup meeting of euro zone finance ministers in Brussels. “The economy is being repaired all the time and decisions like that by the banks are commercial decisions which are monitored by the Irish Central Bank. If the regulators in the Central Bank are happy then I’m happy,” the Minister said. We are at the very early stages of the restoration of the fortunes of the construction and building industry,” Mr Noonan stated. He said that some of pressures are evident already. “Rents in Dublin are going up. So to lend on favourable terms to the buy-to-let sector seems to me to be addressing a problem in the rental market. And I would hope that would lead to the stabilisation of apartment rents as extra apartments are provided,” he said. €827 million in arrears: Should there be debt forgiveness?